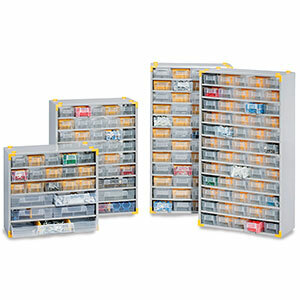 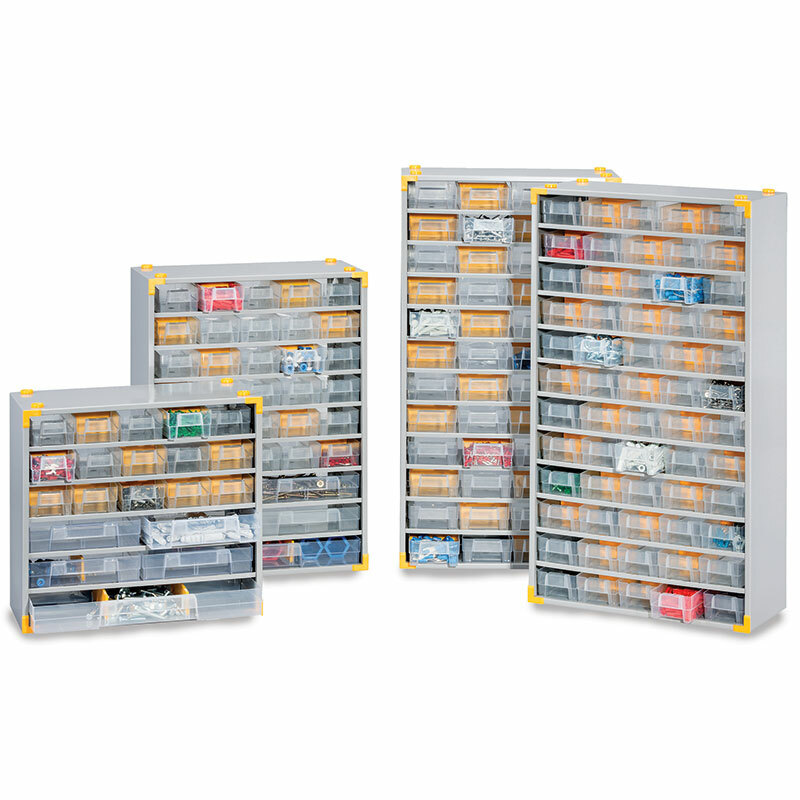 These metal drawer units are design to hold and segregate small parts, so whether you have screws you'd like to keep organised or even beads you've spent ages categorising by colour, then this unit will keep them that way. 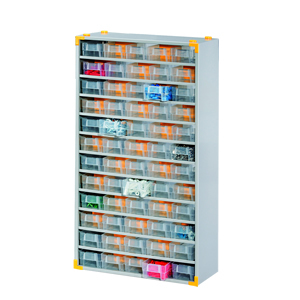 The drawer unit can sit on a desk or be wall mounted, and multiple units can be placed on top of each other to create even more drawer space. 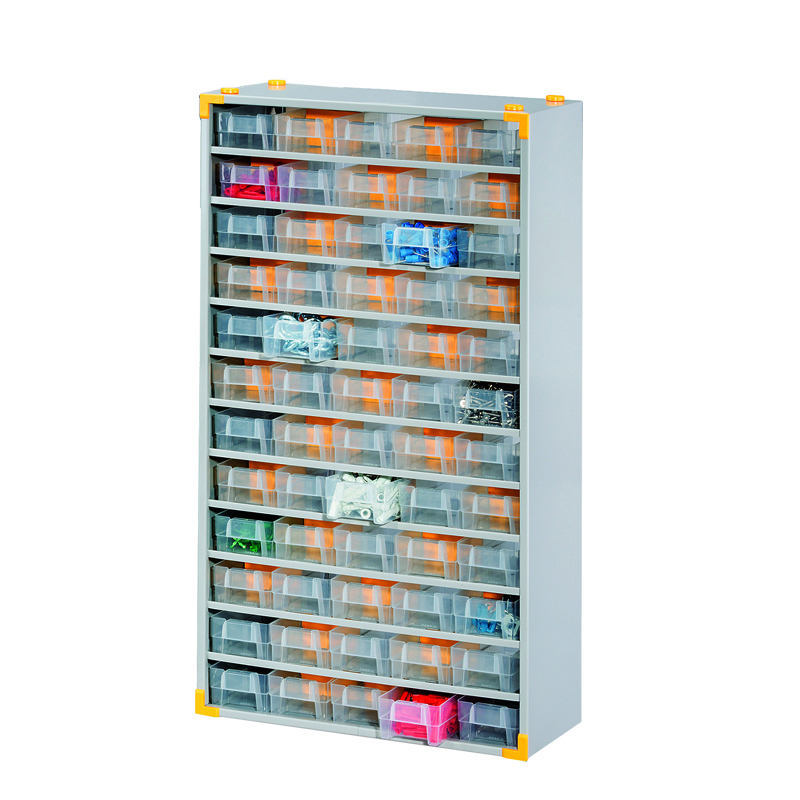 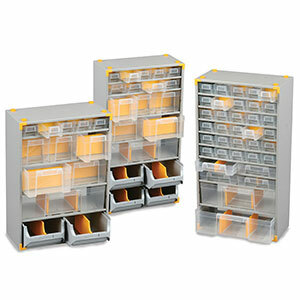 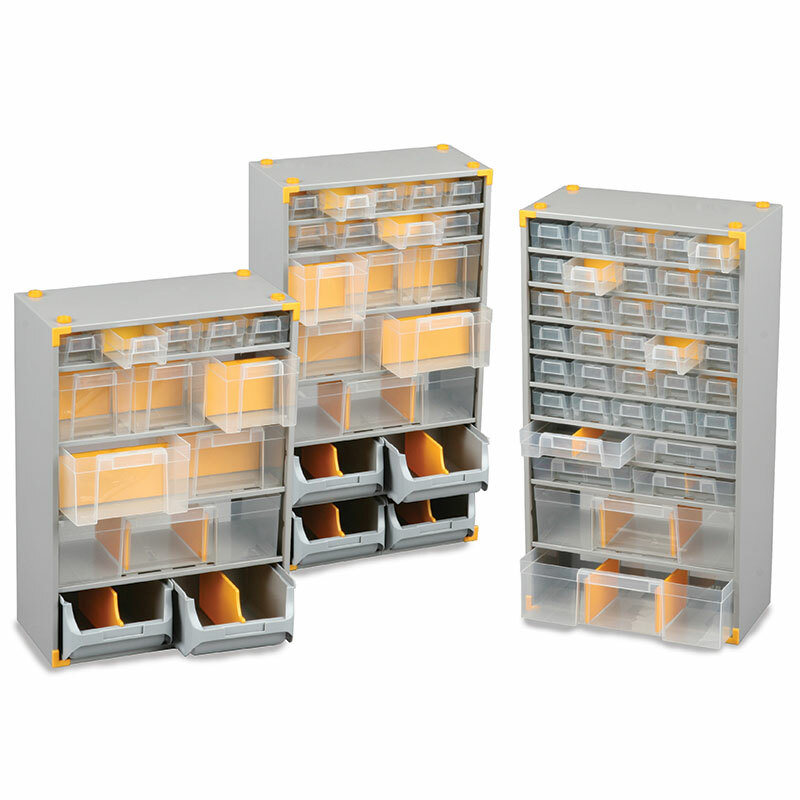 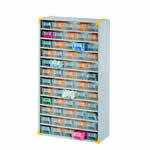 Models within the 'Plus' range come with more comprehensive drawer options and also dividers and labels to further organise drawer contents.